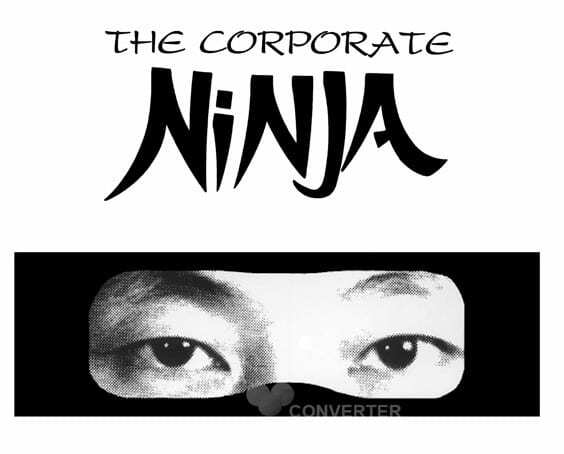 The Corporate Ninja – aka Ron Lee – adopted this line as his way of finding his personal power and life purpose. The White Australia Policy was part of the Immigration Restriction Act of 1901 which gave British migrants preference over all others. Despite being born in Australia to Australian-born parents, the effects of the policy were widespread, particularly for Chinese immigrants. One of the clauses of this Act stated, “The doctrine of the equality of man was never intended to apply to the equality of the Englishman and the Chinaman.” That policy was in place until the implementation of the Racial Discrimination Act 1975. Seventy-four years of constitutional racism was entrenched in Australian society. For Ron, “from the inside looking out I was Australian, but from the outside I look Chinese. Because of my appearance, at school I was looked down upon from all angles, including some of the teachers. Ron has turned his experiences around and for twenty nine years the benefit has been that he teaches clients how to tap into their personal power. He’s been so successful he’s been inducted into an elite group of Certified Speaking Professionals. As much as Ron plays it down, the CSP designation is global recognition for his impact in the industry and his unique style of presenting. Ron uses Eastern and Western Philosophies, Metaphysics, Martial Arts, Universal Laws and the Performing Arts. Ron’s experience as a five year old being bullied and tormented became the beginning of his journey. It led him to study acting and then eight different forms of martial arts. Ron trained at NIDA, the same drama school as Cate Blanchett, Luke Hemsworth and Mel Gibson. He utilises all of his skills in teaching personal power and inner strength. “Internal power is far stronger than physical strength”, he declares..
To highlight just how much stronger inner strength can be, Ron recounts the story about an internal martial arts conference where he matched the smallest woman in the room against the biggest male. Not surprisingly, “those watching couldn’t believe it. Adrian couldn’t push Leanne over. I found out at the end of the demonstration that Adrian used to play in the front row for South African Rugby and he said that he would have shifted a scrum machine with the amount of pressure he was applying.” It was a dramatic example of personal power in action and Ron noted that Leanne’s confidence soared. 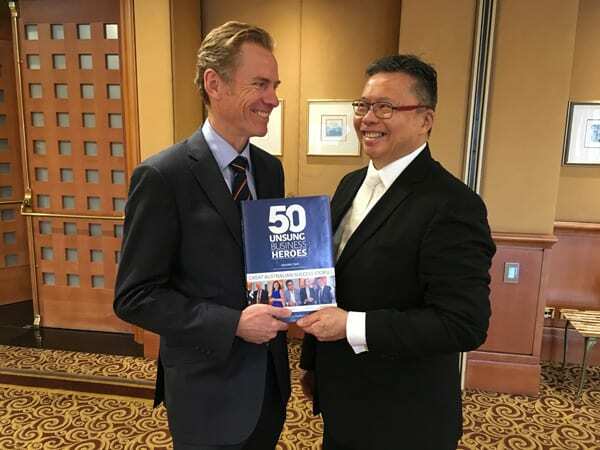 He was doing just three or four corporate functions a year while still running his financial planning business when he made a decision which changed his life forever. Ron decided to attend the National Speakers Association Conference in America. As he recalls, “it was in Dallas and there were sixteen hundred full-time speakers there. These people had the shoes, the suits, the teeth and the hair but I thought I’ve got stuff that’s beyond what they’re doing, which was mainly Myers-Briggs, DISC and NLP. In the first year Ron earned double his best year’s income. As he tells it, “eighteen months later after I heard ‘Our purpose is to serve others’, I began concentrating on how to maximise my clients’ experience. That really was just a shift in attitude and the following twelve months my revenue doubled again, while my costs were within two-hundred dollars of the previous year. Ron admits his original search for personal power was to protect himself because he realised his void was personal power, but the benefit now is his internal power and his ability to teach others how to be powerful. When in the audience of a presentation from The Corporate Ninja the thing you notice from the outset is there are no notes, not a clipboard in sight, no reference tools, just Ron Lee on stage engaging his audience. Ron once “did a seven-hour presentation without notes. Every person in that audience is giving you something in words, looks, attitude and thoughts. In the second you look down at your notes you’ve lost connection with your audience. 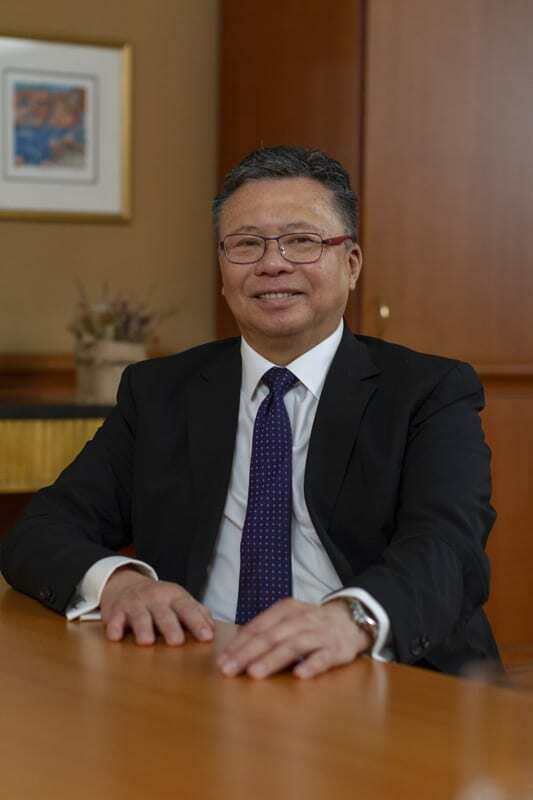 Ron Lee’s mission was to find his personal power and there’s no question he’s done that successfully. He’s known around the world as “The Corporate Ninja”, so does he see himself as successful? 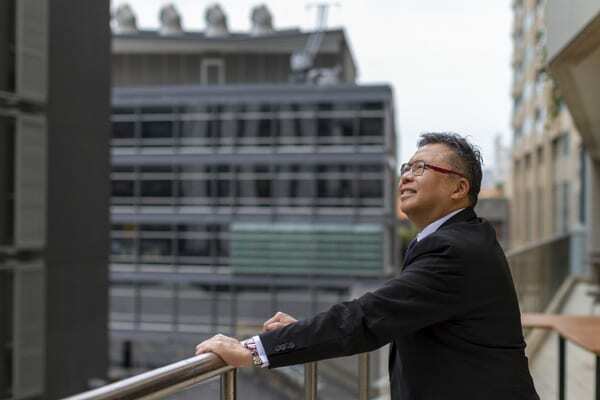 There’s a story Ron Lee tells which highlights perfectly what it takes to be successful, and it encompasses the key areas. The first point is realising you have a problem, then not being afraid to ask the right people for help, listening to and applying the advice offered and even covers acknowledging the success you achieve. Ron told her she would have to come to Sydney and he would train her in internal martial arts and this should help, “and with her being an elite athlete, I thought we could do it in half a day. Ron Lee is very specific about the causes he supports and draws on his own teachings to ensure he does it properly. He quotes Einstein who said “the smaller the area on which force is exerted, the greater the pressure on the area. So I support just two charities, not ten, and they are the Variety Club and the Black Dog Institute. The Variety Club is “because of my acting links. I still do a bit of acting so it’s a good fit to support them, and I’ve had friends and relatives who’ve lost people to suicide through depression, so I’m a keen supporter of the Black Dog Institute. The latter has “helped me to realise the extent of domestic violence and depression and also the suicides among men who’ve been in broken relationships and feel they have no control over the justice process. Those people need to feel more powerful and confident within themselves. Success is a progressive concept, it’s not an end. The basis of what I do is about the power of the individual, so if the individual is internally strong the organisation will be strong. I had no idea about self-protection or being in my own individuality and personal power, and it was that way for many years. …if you’re on track and in focus, things will happen. If you have to slog then I’m not sure the thing you’re doing is right for you.